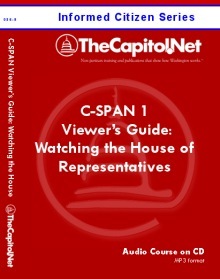 This Glossary will remain as is and is no longer updated - please use the version on Hobnob Blog, located at CongressionalGlossary.com. 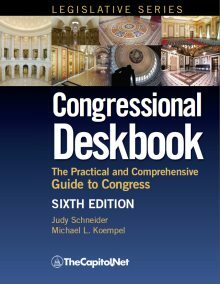 The sources for this glossary include the US Senate and the Congressional Deskbook. Senate practice today generally concedes to the Majority Leader the prerogative of arranging the floor schedule of the Senate and making unanimous consent requests and motions to proceed to consider bills and other items of business. The Majority Leader is also chiefly responsible for negotiating unanimous consent agreements governing the consideration of items of business. Limits within which a conference committee is permitted to resolve its disagreement. 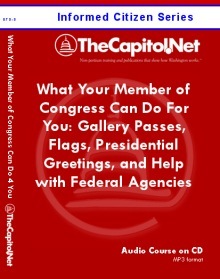 A procedure used by the Congressional Budget Office for up-to-date tabulations of congressional actions on bills and resolutions that provide new budget authority and outlays or change revenues and the public debt for a fiscal year. 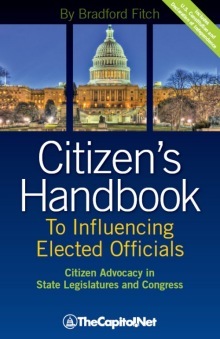 Such reports include, but are not limited to, status reports on the budgetary effects of these congressional actions to date and of potential congressional actions and comparisons of these actions to targets and ceilings set by Congress in the budget resolution. The number of members required to indicate support for an actions, such as calling for a vote. 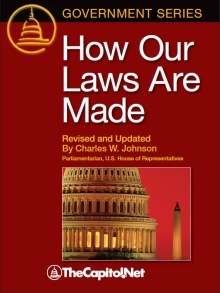 Required reading of a bill or joint resolution to a chamber: in the House, in full before floor consideration in the House or Committee of the Whole (usually dispensed with by unanimous consent or special rule); in the Senate, by title only, before referral to a committee. The Secretary for the Majority and the Secretary for the Minority are elected to serve as scheduling and information coordinators between the party floor leaders and individual senators within the party. The party secretaries may also assist their party conference with its work. If specified, the House's adoption of a special rule may also have the effect of amending or passing the underlying measure. Also called a "hereby" rule. 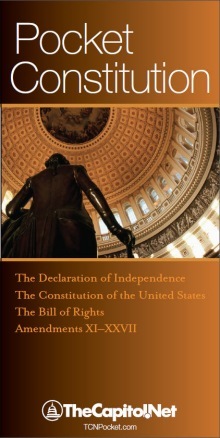 A document that contains the Senate's standing rules and orders and other laws and regulations that apply to the Senate. 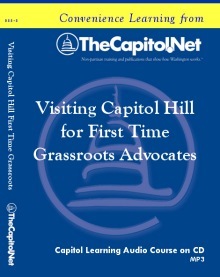 It is usually published once each new Congress. The Constitution requires that a senator be at least 30 years old, a citizen of the United States for at least nine years, and an inhabitant of the state from which he or she is elected. A person elected or appointed to the Senate and duly sworn is a senator. The status given senators according to their length of service, which entitles a senator with greater seniority to preferential treatment in matters such as committee assignments. The cancellation of budgetary resources pursuant to the Budget Enforcement Act of 1990. If canceled, sequestration funds will not be available for obligation or expenditure. Sequestration may occur in response to the enactment of appropriations that cause a breach in the discretionary spending limits, the enactment of revenue, direct spending legislation that causes a net increase in the deficit, or the estimation of a deficit in excess of the maximum deficit amount. 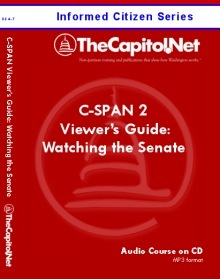 The chief security officer of the Senate, the Sergeant at Arms and staff in the office help to preserve order in the Senate chamber, the Senate galleries, and the Senate side of the Capitol. The Sergeant at Arms is elected by the Senate upon the nomination of the majority party conference. The period during which Congress assembles and carries on its regular business. 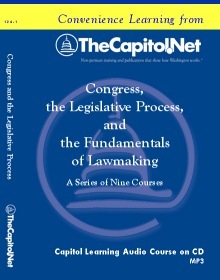 Each Congress generally has two regular sessions (a first session and a second session), based on the constitutional mandate that Congress assemble at least once each year. Designated "S. Res.," simple resolutions are used to express nonbinding positions of the Senate or to deal with the Senate's internal affairs, such as the creation of a special committee. They do not require action by the House of Representatives. The presiding officer of the House of Representatives, selected by the caucus of the party to which he/she belongs and formally elected by the whole House. A session of Congress after it has adjourned sine die, completing its regular session. The president convenes special sessions. The 1974 budget act defines authority as borrowing authority, contract authority, and entitlement authority for which budget authority is not provided in advance by appropriations acts. Stage at which one chamber formally disagrees with an amendment proposed by the other chamber and insists on its own amendment. A measure generally cannot go to conference until this stage is reached. A non-recorded vote used in both the House and Senate. (A standing vote is also called a division vote.) Members in favor of a proposal stand and are counted by the presiding officer. Then members opposed stand and are counted. There is no record of how individual members voted. 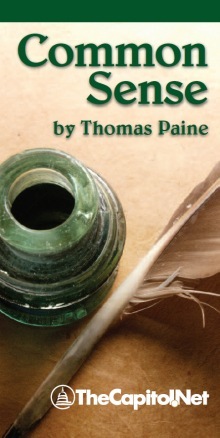 A reprint of a measure, amendment, or committee report to correct errors in a previous printing. The first page carries a small black star. The maximum amount, established in law, of public debt that can be outstanding. The limit covers virtually all debt incurred by the Federal Government (primarily the Treasury Department), including borrowing from trust funds, but excludes some debt incurred by agencies. Amendment that replaces text in a measure or an amendment. Remarks made on the House floor may offend some member, who moves that the offending words be "taken down" for the Speaker's cognizance, and then expunged from the debate as published in the Congressional Record. Another term for a modified open or modified closed rule. Subunit of a committee established for the purpose of dividing the committee's workload. 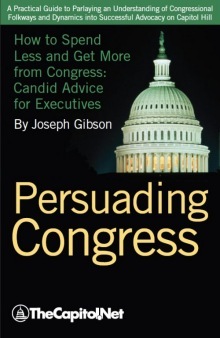 Recommendations of a subcommittee must be approved by the full committee before being reported to the Senate. Legislation appropriating funds after the regular annual appropriations bill for a federal department or agency has been enacted. 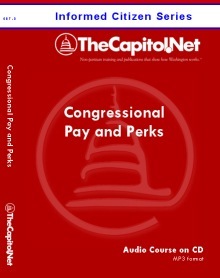 A supplemental appropriation provides additional budget authority beyond original estimates for programs or activities, including new programs authorized after the enactment of the regular appropriation act, for which the need for funds is too urgent to be postponed until enactment of the next year's regular appropriations bill. Senate Rule XXVI requires that, when a committee (other than the Appropriations Committee) reports a measure, committee members may have three days to file statements providing their views on the measure, which will be included in the committee's written report. Excess of revenues over outlays. Often a timesaving procedure for passing bills in the House. The wording of the motion, which may be recognized by the Speaker, is, "I move to suspend the rules and pass bill . . . ." A favorable vote by two-thirds of those present is required for passage. Debate is limited to 40 minutes, and no amendments from the floor are permitted. If a two-thirds favorable vote is not attained, the bill may be considered later under regular procedures. The suspension procedure is in order ever Monday and Tuesday and is intended to be reserved for non-controversial bills.